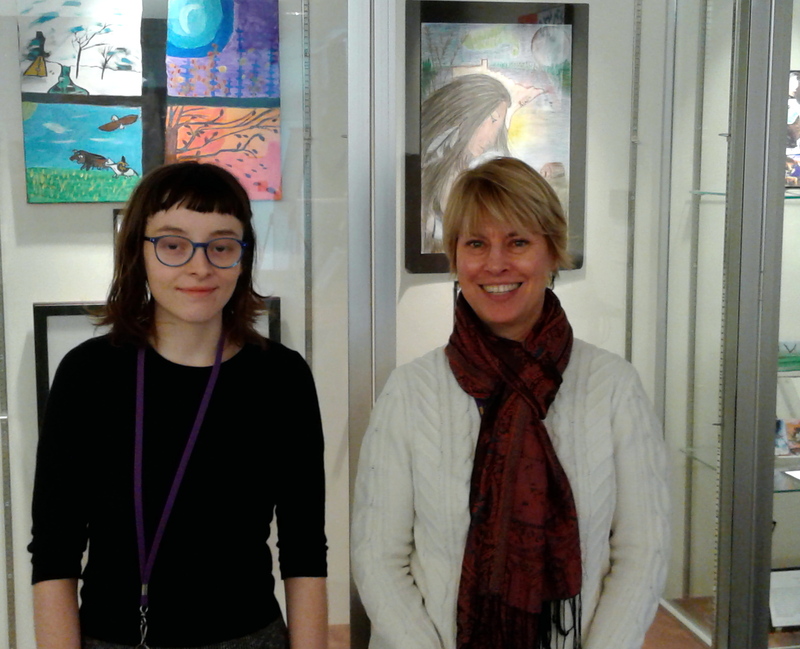 Alyse Burnside and Sherry Kempf of St. Paul Schools Multicultural Resource Center (in front of display of student-produced alternative Capitol art). Recognition of American Indian cultural heritage — legislative intent. (1) It is the constitutionally declared policy of this state to recognize the distinct and unique cultural heritage of American Indians and to be committed in its educational goals to the preservation of their cultural heritage. It would be great if Minnesota had such a Constitutional provision, but in the meantime a round of applause to the St. Paul Public Schools and its Multicultural Resource Center (MRC) for its efforts to teach all children about our state’s native peoples, particularly the Dakota.